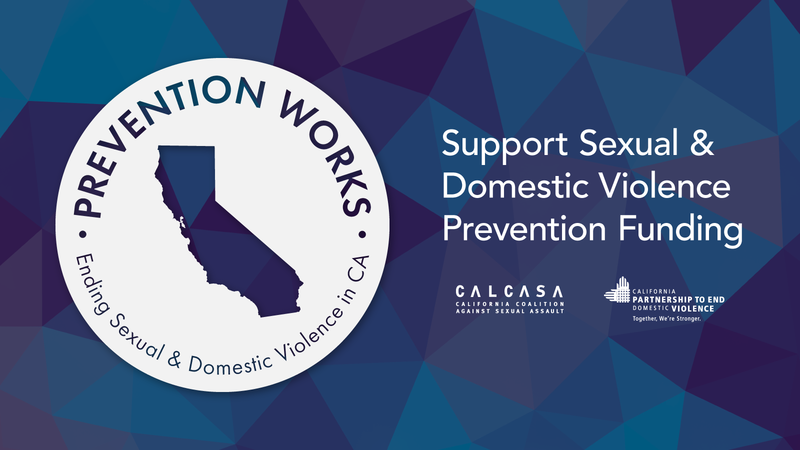 California Partnership to End Domestic Violence · Help prevent sexual and domestic violence in California! Help prevent sexual and domestic violence in California! We need your support to help prevent sexual and domestic violence in California! I would like my gift to remain anonymous? Add 3% for processing fees, so that 100% of your gift goes to the Partnership & CALCASA.